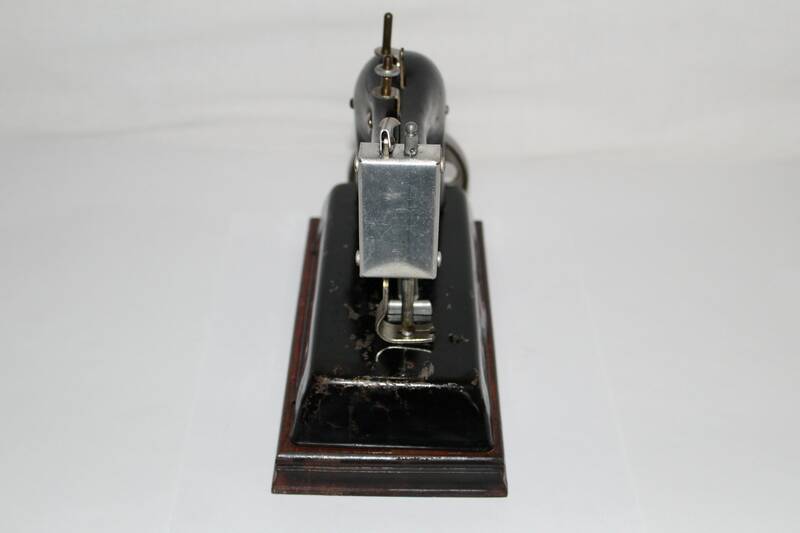 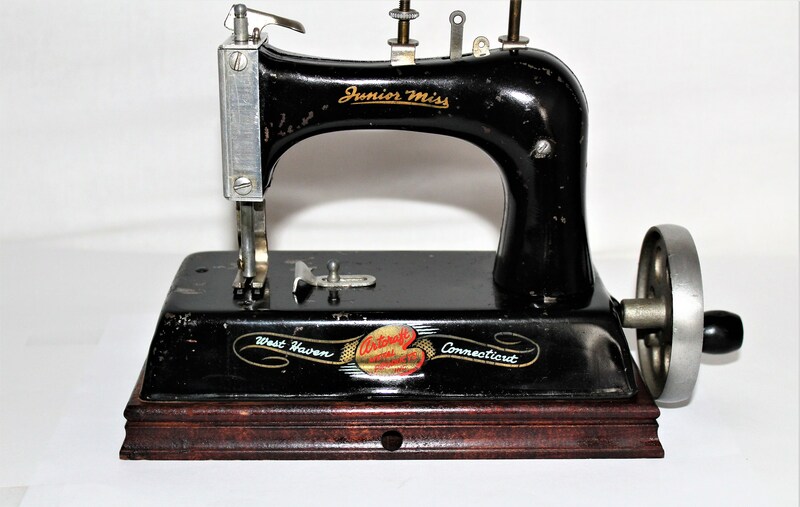 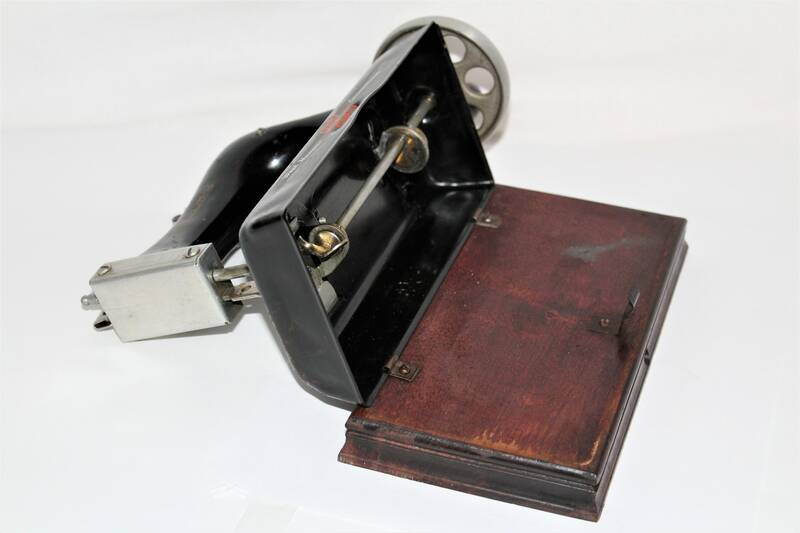 Lovely Junior Miss Sewing Machine made by Artcraft Metal Products of West Haven Connecticut. 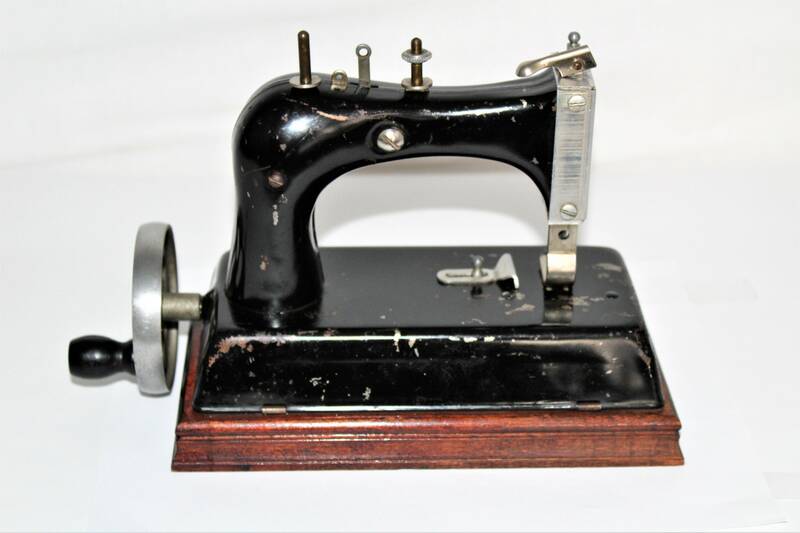 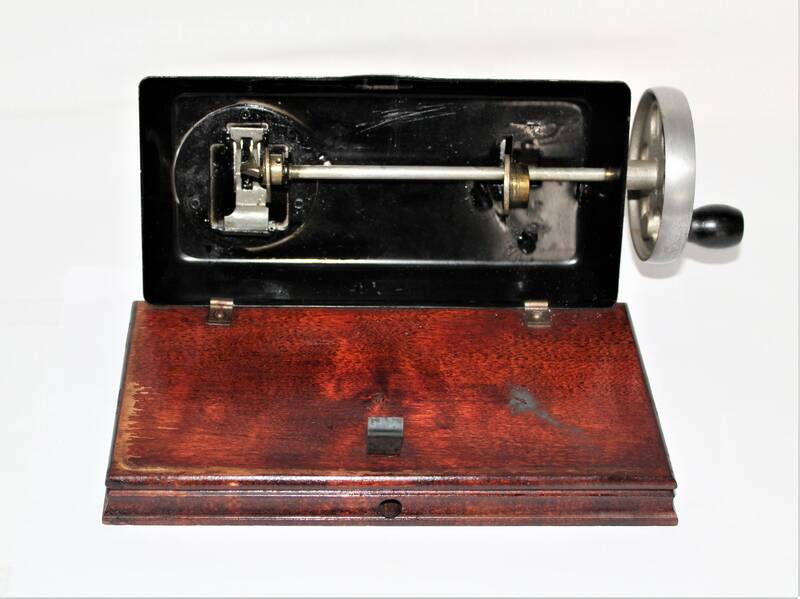 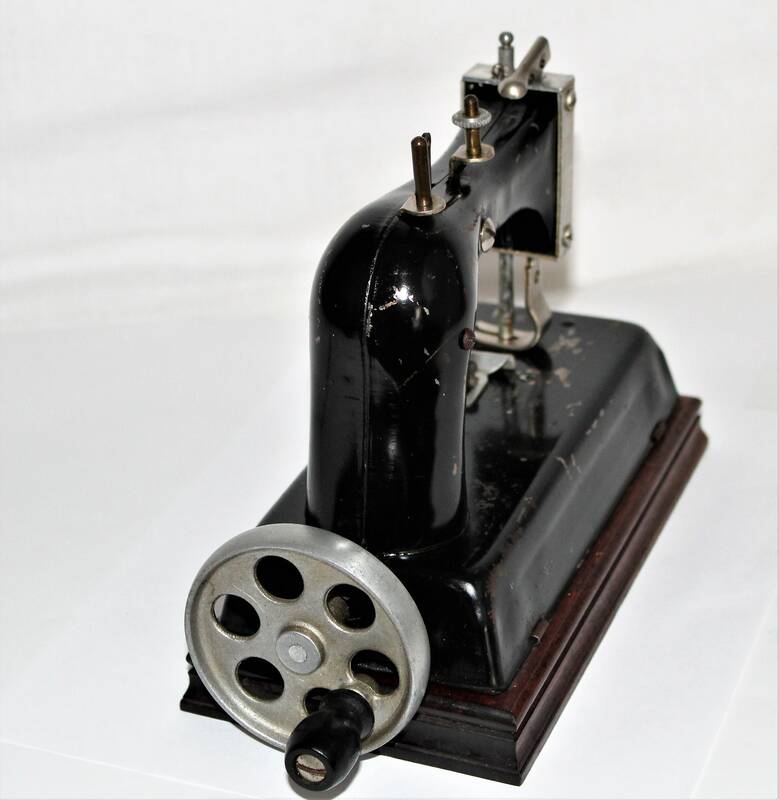 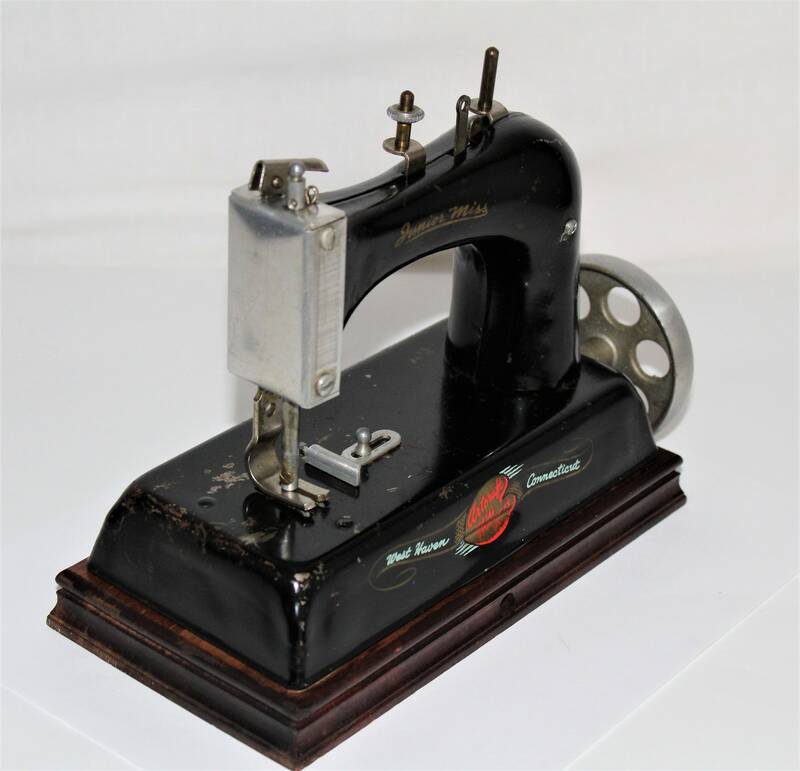 This is a child’s sewing machine, this is how you taught your young daughter how to sew back in the day this is a hand crank machine. 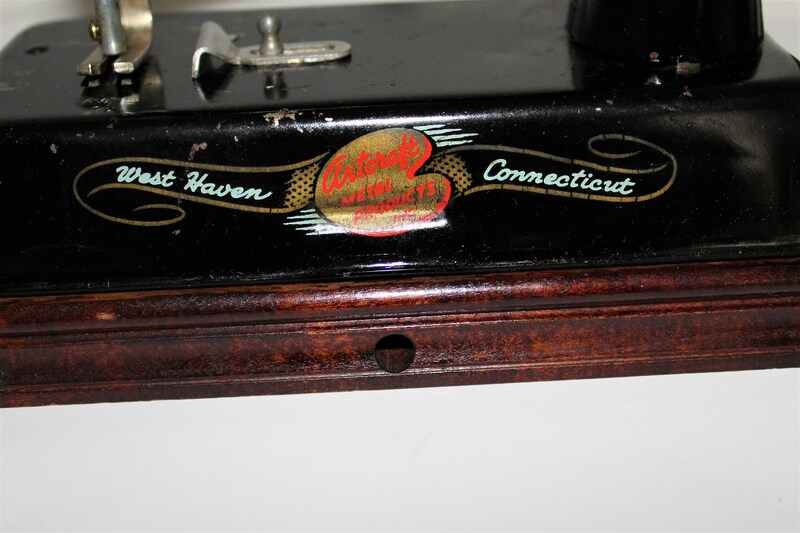 Condition is fair with paint lose, selling as a home décor item.